Guest Post written by Smart Justice Network of Canada (SJNC) – a non-partisan, non-profit network of volunteers from different walks of life and communities across Canada. 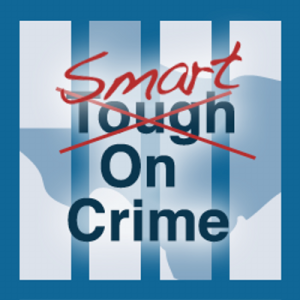 We are working together to promote a different approach to criminal and social justice. One that is smart, responsible, fair, evidence-based, holistic and fiscally prudent. Canada’s current approach features an excessive reliance on incarceration and an insufficient emphasis on mental health, poverty, substance abuse, and the other underlying factors generating breakdowns in families and communities. We are heavily investing in punishment and not in addressing all key factors causing crime and social injustice. Our failure to invest wisely coupled with our failure to support community-based alternatives and build collaborative partnerships costs taxpayers billions more than is necessary, and inadequately serves the needs of victims, families and communities. skyrocketing spending on the criminal justice system ($2 billion increase 2002-2012; up 72% federally and 48% in provinces and territories). growing prison rates (8,305 more people in our prisons by 2012 than in 2000). an alarming, rising incarceration of people with mental health challenges, who require services not available in prison. Grossly disproportionate Aboriginal citizens (especially women) in prison (they represent only 3-4% of our overall population, by 2013 were 23% of federal prison population, 33% for women). An intolerable number of inmates suffer from substance abuse, lack of employable skills, poverty, abuse from broken families or as wards of the State. For most offenders, holding them responsible through appropriate timely interventions that also address their challenges offers a more constructive and effective response than punitive solutions to social problems. limited opportunities and support for victims to meaningfully participate, heal and regain their lives within families and communities. Current services are overworked, underfunded and available to only some victims. 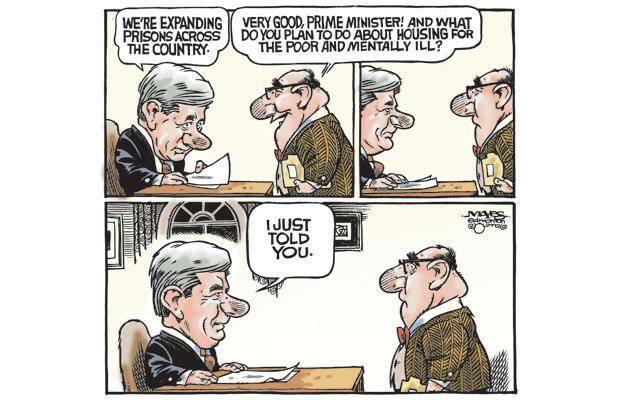 overloaded and delayed courts; over half provincial correctional centre inmates are waiting for their cases to be heard (an increase by 45% in 10 years, 2003-2013). No country can afford for this to continue. Indeed, many countries including the USA, UK, Germany, Sweden and others have taken stock and are making significant changes in their approach to crime and social issues. Promising, positive and proven alternatives exist. Alternatives that engage communities in collaborative partnerships, address the chronic underlying causes of crime and social injustices, meet the needs of those impacted by crime, reduce prisoner populations without increasing crime rates, and that invest in health, education, economic development and other fields that prevent and reduce crime and social injustices. Yet Canada continues to head in the direction other jurisdictions have abandoned! This is very costly to us all. Clearly the time has come for a course correction in Canada’s approach to justice. To recognize effective solutions require comprehensive attention to the multi-faceted and unmet social, health and economic needs of children, families and communities. To fully appreciate the justice system alone cannot respond effectively to the diversity of challenges people and communities experience. To increase collaborative partnerships based on mutual respect for the unique contributions all partners make; partnerships across many different sectors – health, education, justice, child welfare, social services, economic development, as well as cultural, recreation and community-based initiatives. To respect and support culturally sensitive engagement and collaborative community responses to justice issues. Learn from and honour indigenous teachings and traditional ways. Support the reconciliation work required across Canada. To collectively explore connections between criminal and social justice issues stemming from health, employment, housing, poverty, education, addictions and mental health. To rely on evidence-based, innovative approaches within and outside of government that effectively change the intolerable, seemingly entrenched current outcomes that undermine prevention, rehabilitation and squander public funds. To build skills and processes for participatory democracy for everyone to constructively share the work of building the social capital necessary to create connected, healthy communities and take up their civic responsibilities to participate in making the hard moral decisions that set priorities and policies for their communities. To shift expenditures from excessive investments in courts and prisons to investments in supporting victims, rehabilitating offenders and building multi-dimensional, community-based approaches. To forge a new approach we need a fundamental shift in our public dialogues. Our challenges transcend political differences; ask more of us than rhetorical exchanges that readily dissolve into divisive diatribes. We need to build safe places for difficult conversations that draw out the very best new ideas that enable everyone to be included in developing new, effective approaches to our justice challenges.